What surprises me is that the solutions proposed on SO seem to miss the most obvious workaround - embedding the @BeforeClass in the @Parameters method. The latter is static and is executed only once - before any of the tests. 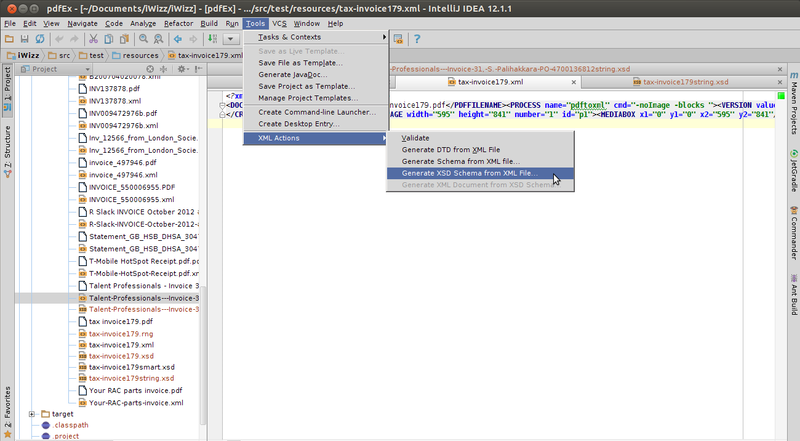 I have been working with XML files produced by a third-party tool which had almost no documentation. I wanted to find ways to automatically parse them in Java and it seemed that this involves getting or re-creating the XSD schema.There is a thread on Stackoverflow where multiple possible solutions are suggested. Unfortunately, the thread is closed for further contributions so I am going to describe my solution here. I used the free community version but I presume that the same functionality is included in the commercial version, too. 2. 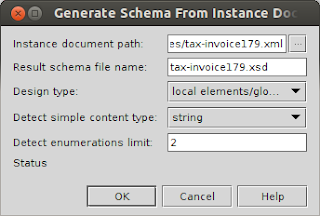 Go to "Tools"/"XML actions"/"Generate XSD schema from XML file"
It turned out that a few of the other XML files did, indeed, contain optional elements that were not part of the XSD schema (i.e. they failed the xml validation) so I added them manually. Another manual change was setting the data type for the elements. I tried initially running the IntelliJ wizzards with automatic data type detection enabled ("Detect simple content type" set to "smart") but it did not work well. So I used in step 2 the "dumb" option of setting all data types to "string". 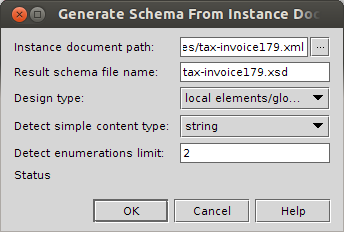 Once I got the XSD schema I than manually set the data types. The above is a relatively simple recipe - it takes about 20 minutes. Still, I am somewhat disappointed that currently no tool seems to be able to generate a XSD schema based on multiple files - such functionality would cut the manual effort by half and would make the recipe more robust. I was recently interested about visually creating JPA2 entities in a way similar to creating database tables from an ER diagram. Turns out, this is not so well supported by the tools I tried but I found a workaround which involved exporting all the tables from a database. The solution had, however, the unintended side effect of overwriting those of the existing JPA2 entities which had a match to a table and this removed, among others, the named queries which I have already written. This happened because I have defined the queries in the same files in which I have stored the code of the JPA2 entities. This is how it is mostly done and I have simply followed the mainstream. I remember finding this solution rather inelegant as the queries tend to involve more than one JPA2 entity - so which one you assign it to? but that's wrong - than the query file is not retrieved during the build time. I have been looking for a tool which allows defining JPA2 entities visually in a way similar to the various tools which generate SQL DDL script from a diagram of an entity-relationship model. I've tried various free tools including the Diagram Editor which is part of the Eclipse Dali project but all were rather flaky. So I decided to go a slightly indirect way. I created an ERD diagram, exported the DDL script and created the tables all within MySQL Workbench. The details (as well as the pre-requisites such as setting up a MySQL database) are beyond the scope of this post - I would just mention that no particular tweaking or coding is required. 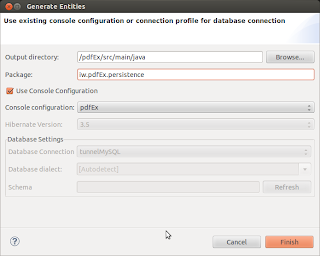 Also, it shall be possible to use any other JPA2 compliant database (e.g. Oracle). 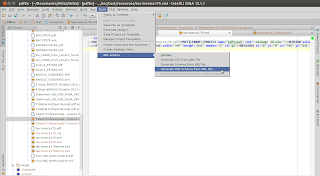 Creating a Java project and enabling the JPA facet for it in Eclipse (alternatively, a JPA project can be created from scratch). Since I chose to use Hibernate, rather than EclipseLink which is the default JPA implementation in Eclipse, I first had to set it up. The Eclipse Hibernate console needs to be set up, too. Clicking on "Finish" starts the import from the database - this may take some time depending on the connection. 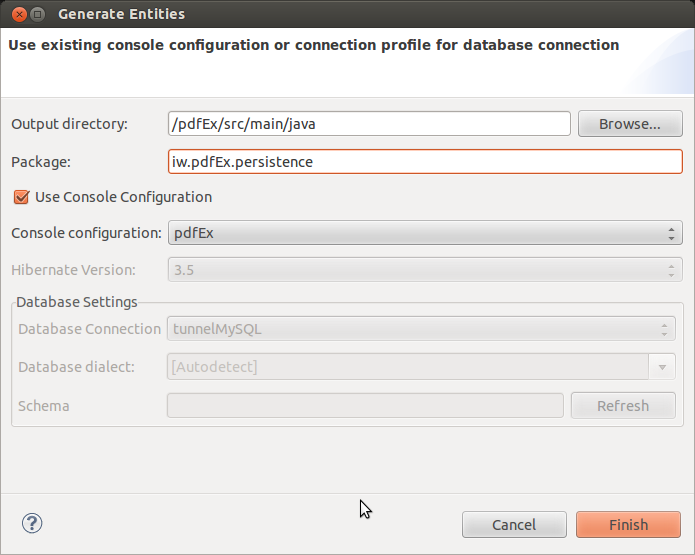 The previous step generates a Java class (JPA2 entity) for each database table in the chosen package. It also automatically adds all the classes to persistence.xml. It all sound well but in my case for each JPA entity Y I was getting an error "catalog X cannot be resolved for table Y" where X is the name of the database schema. I have no idea why as both the database connection and the persistence unit seem to be set up correctly. I found a quick workaround - I manually removed the catalog entry from each entity. The error disappeared - voila! There is one more gotcha, however. 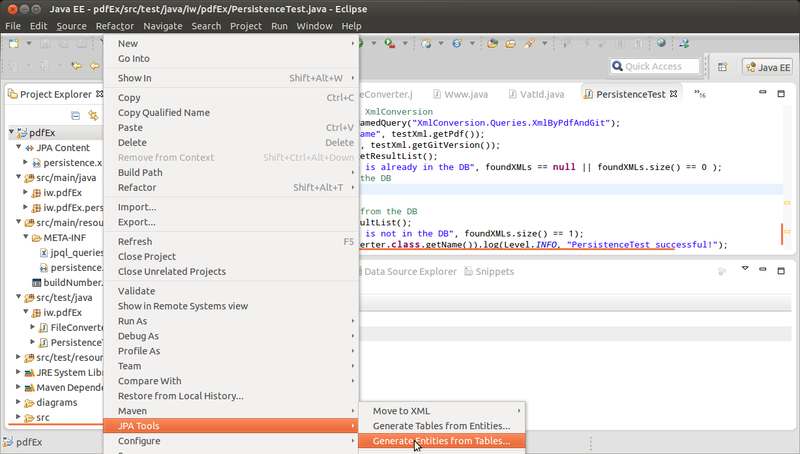 Eclipse overwrites all JPA entities which already exist (I could not find a way of importing only some of the tables). In my case I had already two JPA2 entities. I had some simple logic added to some of the getter/setter methods - I had to recover it from the older git versions of the corresponding entities. Not nice. Also, all the named queries which I have defined were gone. Again, it was relatively easy to re-create them from the older git version. This prompted me to look for ways to define the JPQL queries separately from the code of the JPA2 entities. Fortunately, I found an easy way to do it - it is the subject of a separate post. All in all, the above is a relatively easy and quick (generating the Java code from the ER diagram takes a few minutes) but somewhat dirty way of visually designing JPA2 entities. For more than 15 years it has been possible to visually design database models so I was really surprised that such a basic functionality is not readily provided by any of the tools I tried. Hopefully, Eclipse and the other JPA tools will catch up soon. I am writing customized test ware for one of my personal projects (more on it in another post). The test ware does a few things and at the end stores the test results in a relational database. I wanted to be able to link each database record to the specific git commit from which the code under test was produced. I have used a similar technique with svn in the past but did not know how to do this with git. 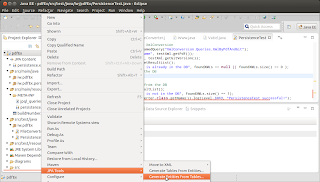 Also I wanted to automate it using my CI pipeline (maven, Jenkins, Sonar).